 Radiolympics: Go for the Gold, Radiology-Style - ONRAD, Inc.
DiagnosticImaging | Every now and then, I find myself thinking about some of the skills radiologists have developed that are underappreciated. Some once held more importance than they now do (pneumoencephalography, for instance). Others were more recently of practical value but are on their way out, and some show no signs of leaving us. These abilities, like any other, are practiced with varying degrees of skill and downright flair. Considering how radiologists are the competitive and (usually) fun-loving sorts, I’m surprised we haven’t made some of them into competitive events. Perhaps local “meets” seeding regional champions. Finalists could compete at RSNA’s annual meeting. We’ve got more than enough vendors to serve as sponsors. Call it the Radiolympics (or Stupid Radiology Tricks if you’re a Letterman fan). Just imagine being able to display your medals on your office’s wall, and referencing them on your CV. Film hanging. Remember the pre-PACs days, when each CT or MRI had multiple sheets of film that needed to be put up before you could read them? Some folks would pull out one sheet at a time, scrutinize it, and fumble around painfully slowly with the alternator while others would practically make the films dance. We had a couple of attendings in my residency-program who could effortlessly pull a film from the jacket, toss it into midair so it would flip itself over, then neatly catch it and jam the thing into its place — all in one fluid motion, without a single film ever being backwards or out of place. This event could be scored for time, style, and/or accuracy. Grease pencil-peeling. Another relic from the days of films. When you needed to mark up a finding, how often was it that the only pencil in the room had its worn tip buried under layers and layers of partially-torn paper wrap? For this event, contestants are each given a brand-new grease pencil, and race to completely remove its wrapping to leave only the core. No tools allowed, other than one’s two hands. Penalties are applied to one’s time for each blemish on the core of the pencil; the larger the scratch or dent, the more time gets added. Breaking the core into two or more pieces yields an even harsher penalty. Precision voice-recognition. At the time of the event, it is revealed which major VR software will be utilized, and each contestant receives a set amount of time to train his station as best he can. A paragraph for dictation is then presented, and contestants have one minute to familiarize themselves with the material before they can start dictating. Scoring is based on time, with penalties added for each error. The fluoro-maze. Each contestant is supplied with a standard selection of catheters and guidewires, and presented with an opaque box on a simulated fluoro-table. The box’s interior is a maze with one entrance and one exit, and the contestant uses his wires and catheters to go from entry to exit. When “fluoro” is active, a camera in the ceiling of the box gives a top-down view of the maze. (After all, we don’t want to radiate the contestants, do we?) Upon completing the maze, a contestant’s “time” is however long it took him to get through, plus thrice the amount of fluoro-time.